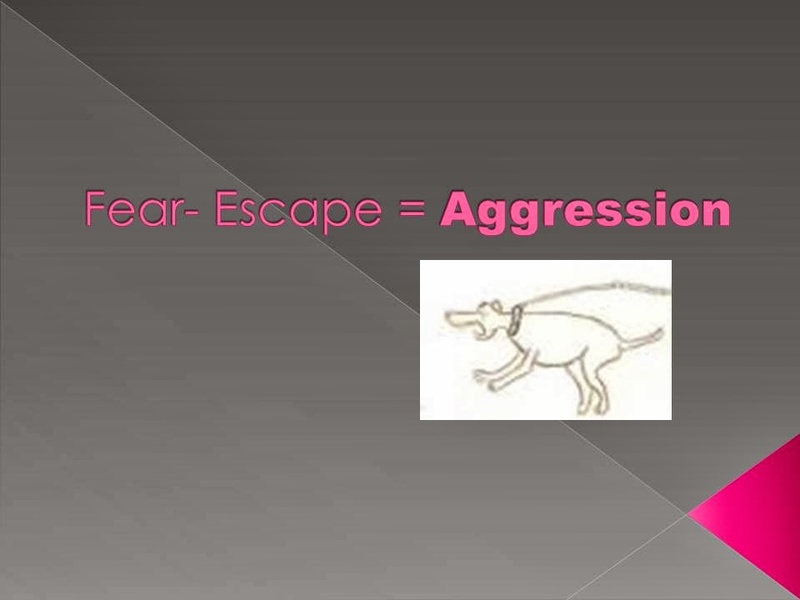 John Rogerson says that if we take fear, and remove escape, we get aggression. That is why some dogs tend to be much calmer when off leash - they don't feel as stressed when they are not constricted. The confinement issue is just one of the many reasons that we should not force dogs to "face their fears." Our pets would be much more comfortable if they learn that they have the option to move away from scary things. If we start with fear and remove the escape, then we can then add the word aggression. So if we work to remove the fear, we have a confident biter, right? Dogs that are confident at biting do it better than dogs that lack confidence – and it is a much harder problem to correct. So surely to remove the aggression, we have to reintroduce the escape. It has always astounded me why anyone would want to teach a fearful dog to approach people. By nature, if a dog feels threatened by something it is unsure of then surely the best strategy is to stay away from it. So perhaps the reason that fear behaviour ends up as fear aggression is because at some stage that option has been taken away from it. Confined spaces, such as cars, crates, or fences, may provoke or intensify territorial aggression in dogs, but in cats true confinement is more likely to provoke arousal because of an inability to escape and/or hide (their first choice for managing concern), resulting in aggression that is more likely due to fear or impulse-control issues. 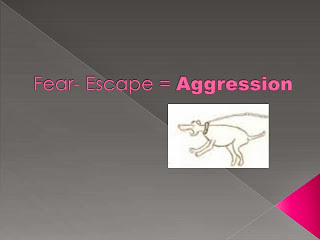 ...a fearful or fearfully aggressive dog to a stimulus of which he is afraid but cannot escape will make the dog worse. Dogs who have been teased but limited in their response (e.g., because of a fence that allows someone to poke sticks at the dog but does not permit his escape) may be at enhanced risk for fear aggression. Tells us about your fearful dog in the comments below.